A laser is a device that produces an extremely powerful and concentrated beam of light. In fact, our surgical laser creates a beam that is even more powerful than a similarly-sized beam leaving the surface of the sun. Years of experience in veterinary and human medicine went into the design of our laser, which was made specifically to provide superior care for pets. The laser has the unique ability to vaporize or "erase" tissue. The laser can be used to make incisions, as well as to erase unhealthy tissue. The laser is so precise that we can selectively remove only a few cells at a time. The laser seals nerve endings, so patients are much more comfortable after surgery. Not only does the laser kill any bacteria in its path, it also seals the lymphatics, so there is much less swelling post-operatively. Cedar Pet Clinic Lake Elmo is proud to be one of the first veterinary hospitals to provide the many advantages of laser technology to our patients. Surgical lasers, and more recently therapeutic lasers, have benefitted human patients for years. Now your pet of any species can benefit, too. May reduce the amount of anesthesia for some surgeries. Cedar Pet Clinic Lake Elmo has made this substantial investment in order to offer you the best possible healthcare for your pet! Better for your pet, and easier for you! Is laser surgery appropriate for my pet? 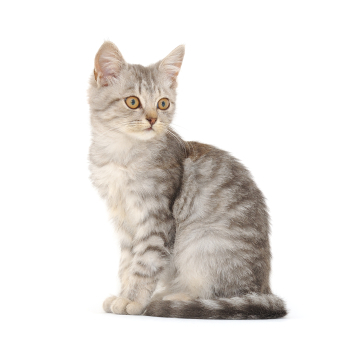 A laser can perform a wide variety of surgical procedures on cats, dogs, birds, and other animals. Our doctors will be able to tell you if your pet is a candidate for laser surgery, and will help you decide if this is the best treatment option for your pet. No sedation is required for your pet's laser therapy treatments, which often have a calming effect on our patients. 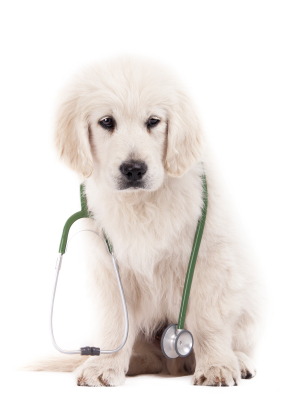 Depending on the condition being treated,most pets exhibit improvement within 12 to 24 hours. For most conditions we recommend a series of treatments, each lasting only about five to fifteen minutes. Some treatments take a little longer, depending on the size of the area being treated. Laser Therapy is particularly beneficial to cats who are sensitive to anti-inflammatories! Cedar Pet Clinic Lake Elmo is proud to offer Class IV laser therapy to our clients as an effective treatment for many cases of acute and chronic pain, inflammation and wound healing. Laser therapy can be used alone or in conjunction with other treatement modalities, and has the benefit of being a drug-free, non-surgical, safe means and providing lasting pain relief. Reduced Inflammation - Laser therapy dilates the blood vessels and stimulates lymphatic circulation, helping to reduce inflammation. Pain Relief - Laser therapy provides pain-killing, or analgesic, effects. It has direct effect on nerve cells, including suppression of receptors that send pain signals to the brain. It also increases production of endorphins and enkephalins, which are the body's "natural pain-killers." Pain Relief - Laser therapy stimulates activity within cells, resulting increased oxygen, increased production of the energy molecule ATP(adenosine-triphosphate), and increased enzyme production. These actions help tissue to heal more quickly and reduce the formation of scar tissue. Surgical incisions and other injuries benefit from treatment with laser therapy. Laser therapy has been used in the United States to treat humans for everything from sports injuries to rheumatoid arthritis. We are excited to provide this advanced technology to our canine and feline patients. Ask us if your pet might benefit from this affordable, non-invasive, drug-free technology. Your pet will be glad you did!